We bring people together to celebrate and amplify the voices of women and non-binary people. The Freya Project, a 501(c)3, is a fundraising reading series founded in the wake of the 2016 election by Natalka Burian and Nonie Brzyzki. 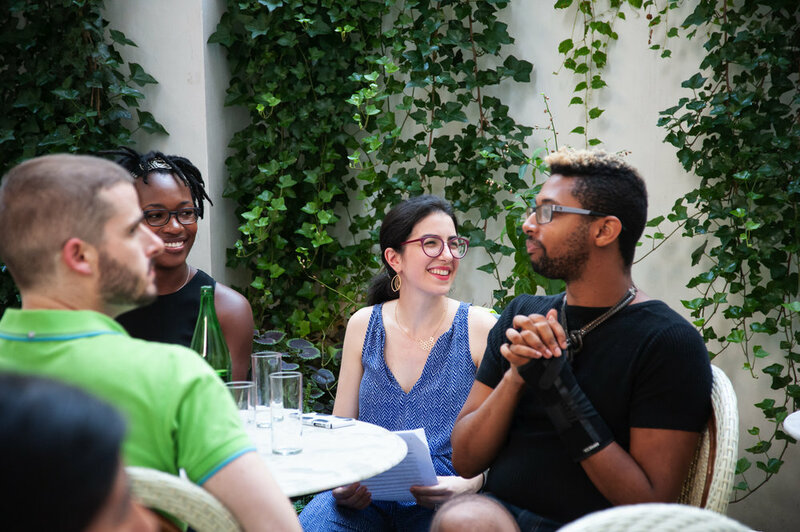 Our events unify and lift up women and non-binary people, and create an environment where we can support each other as active citizens of the United States. At our fundraising readings, five women share personal essays on topics relevant to their experience. We aim to amplify the voices and experiences of women and non-binary people while building community at our events and focusing that community on the their plight across the country. By amplifying the voices of women and non-binary people, we support the nonprofits that do the same. We help small nonprofits dedicated to preserving a safe space for the marginalized, frightened, and endangered among us in every corner of our nation. All proceeds from ticket sales go directly to small, non-profit organizations located in areas that do not always embrace the vital work they perform. These small, often volunteer-run groups promote reproductive justice, offer assistance to immigrant and refugee women, justice involved women, and advocate for gun control and environmental causes in their communities. We give grants to women and non-binary writers. The Freya Project also awards unrestricted, $1,000 grants to writers. These grants, called Meret Grants after the Egyptian goddess of rejoicing, provide two of our former readers with essential support for their work. In 2019, we introduced our Juno Grant — an unrestricted $1000 grant to former readers who are also parents. The Freya Project also supports existing artist residencies and retreats by providing writers with stipends for travel and other fees. Nonie Brzyski spent years working in the non-profit sector. She is a Food52 contest winner and is featured in their second cookbook. She is currently at work on her first novel. Natalka Burian received an MA from Columbia University where she studied Eastern European literature with an emphasis on the work of Leopold von Sacher-Masoch. She is the co-owner of two bars, Elsa and Ramona, as well as City of Daughters, a line of specialty cocktail goods. Natalka is the author of Welcome to the Slipstream, and she lives in Brooklyn with her husband and two daughters. Aisha Muharrar is an American television writer and producer. 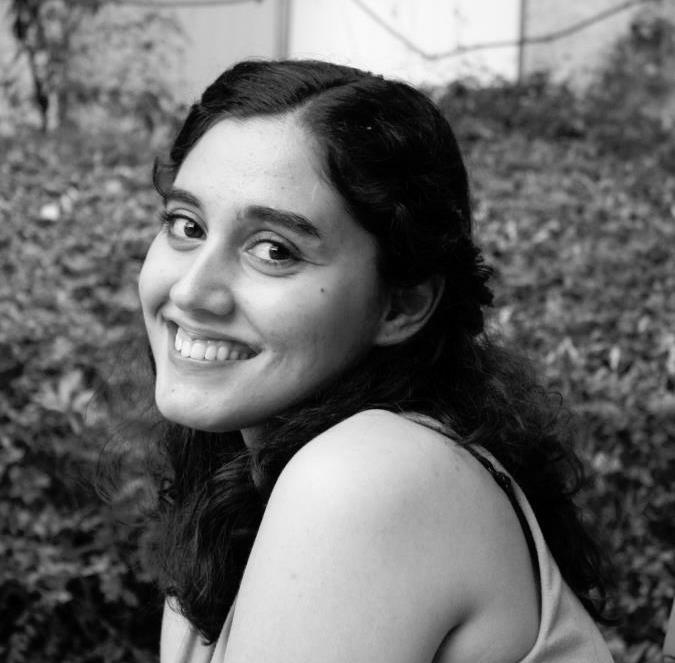 As a teenager, Aisha Muharrar wrote the non-fiction book More Than a Label. Most recently, she was Co-Executive Producer of NBC's The Good Place. Prior to this, Aisha was a writer/producer of Parks and Recreation for six seasons. She also wrote and directed her original play Seldom, Very Seldom for the Unscreened Theater Series. Libby Flores is a 2008 PEN Center USA Emerging Voices Fellow. Her short fiction has appeared in American Short Fiction, Post Road Magazine, Tin House The Open Bar, The Guardian, The Rattling Wall, Paper Darts, Bridge Eight, FLASH: The International Short-Short Story Magazine, and The Los Angeles Review of Books. She is the former Director of Literary Programs at PEN Center USA. In 2018 she was the Director of the Believer Festival. 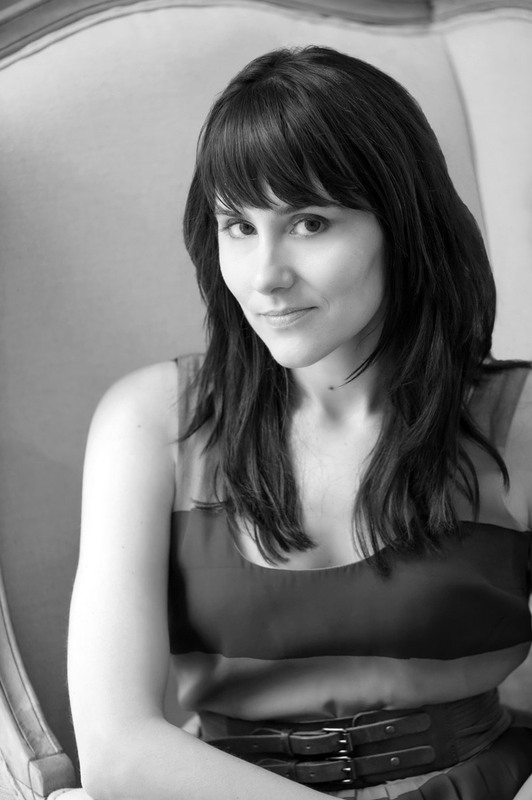 She is currently the NYC Director of the Freya Project and the Director of Audience Engagement at BOMB Magazine. Libby holds an MFA in creative writing from Bennington College. She lives in Brooklyn, but will always be a Texan. She can be found at libbyflores.com. Kate Ladenheim is a professional multi-hyphenate: a choreographer, arts producer, performer, designer, and digital consultant. Kate is artistic director of The People Movers, a dance and arts production company committed to the creation and presentation of socially engaged performance work. Her choreography has been presented and commissioned internationally, and she was recently named one of Dance Magazine’s “25 to Watch” in 2018. Apart from her work in choreography and production, Kate works as a graphic designer and web developer on independent projects and with Amy Jacobus Marketing. Ashley Chaifetz is research analyst for the USDA Food and Nutrition Service; her publications have focused on food security, food safety, and food justice. She earned a MA in women's history from Sarah Lawrence College and a PhD in public policy from the University of North Carolina. She coordinates the DC outpost of The Freya Project. Rachelle Yousuf is the current president of the Women's National Book Association and a freelance editor and event producer in Los Angeles. She manages workshops for the Women's Business Center, a nonprofit focusing on women and minority entrepreneurs, and has a master's in English Literature from California State University, Northridge. She helps to produce the Secret Society of the Sisterhood reading series and coordinates the LA branch of the The Freya Project reading series.